Directly across from Fishback Creek Public Academy within easy access between I-65 and I-465. MLS#21636061. Keller Williams Indy Metro NE. Mill Pond - Every piece of this home is spectacular. MLS#21636023. Encore Sotheby's International. Forest Ridge - Character in a one of a kind architecturally significant home. MLS#21636040. Carpenter, REALTORS®. South Park - Rehab with all wood flooring, custom, new roof, windows & new mechanicals. MLS#21631714. CENTURY 21 Scheetz. New ('12) A/C, water heater, walkway, landscaping! MLS#21636222. Gallery of Homes Real Estate. Northern Hills - Pre-listing inspection is available to interested buyers. MLS#21635792. F.C. Tucker Company. Pine Ridge Estates - Too many other features to list. MLS#21635574. Henke Realty Group. Lots of Crown molding, 9’ ceilings, & more! Conveniently Located! MLS#21635991. F.C. Tucker Company. All appliances stay except chest freezer and garage refrigerator. MLS#21635949. Jeneene West Realty, LLC. The large composite wood deck awaits for you to entertain family & friends with built in hot tub to relax and enjoy! MLS#21631981. New Home Realty, Inc..
Meridian Highland Woods - Certainly a highlight of this neighborhood - with no HOA! MLS#21633647. F.C. Tucker Company. Frazee Home Place - Backyard is fully fenced and well landscaped. Fresh exterior paint, Trex porch. MLS#21635712. RE/MAX Legends Group. Don't let this one pass you by. MLS#21628488. RE/MAX At The Crossing. Mini-barn with electricity & cement floor offers flexible space. Enjoy the neighborhood pool & clubhouse! MLS#21635627. DAVID BRENTON'S TEAM. 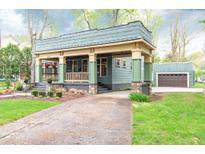 Mendenhalls Pleasant - The screened porch rounds out this perfect home that is ready for new owners. MLS#21635700. Berkshire Hathaway Home. Ashland - Freshly painted with neutral color and new carpet throughout. All appliances stay. MLS#21635707. F.C. Tucker Company. Be prepared to fall in love with this BEAUTIFUL HOME! 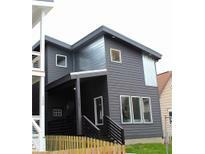 MLS#21634958. RE/MAX Advanced Realty. You will appreciate the extra storage space of the unfinished walk-in attic & extended 2-car garage, connected by the lovely breezeway! MLS#21633165. F.C. Tucker Company.